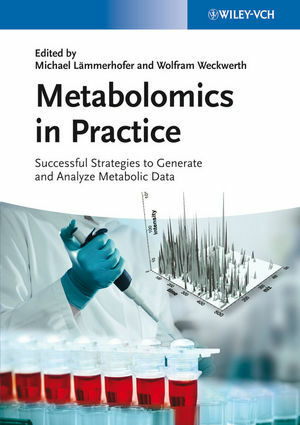 Unlike other handbooks in this emerging field, this guide focuses on the challenges and critical parameters in running a metabolomics study, including such often-neglected issues as sample preparation, choice of separation and detection method, recording and evaluating data as well as method validation. By systematically covering the entire workflow, from sample preparation to data processing, the insight and advice offered here helps to clear the hurdles in setting up and running a successful analysis, resulting in high-quality data from every experiment. Based on more than a decade of practical experience in developing, optimizing and validating metabolomics approaches as a routine technology in the academic and industrial research laboratory, the lessons taught here are highly relevant for all systems-level approaches, whether in systems biology, biotechnology, toxicology or pharmaceutical sciences. Michael Lämmerhofer is Professor of Pharmaceutical (Bio)Analysis at the University of Tuebingen, Germany. Having obtained his academic degrees from the University of Graz, he spent one year as a post-doctoral fellow at the Department of Chemistry of the University of California, Berkeley (USA). Later he was Associate Professor at the Department of Analytical Chemistry of the University of Vienna (Austria). His current research is directed towards the targeted quantitative analysis of extracellular and intracellular metabolites, mainly with focus on applications in industrial biotechnology. Wolfram Weckwerth is Professor and Head of the Department of Molecular Systems Biology at the University of Vienna, Austria. Having obtained his academic degrees from the Technical University of Berlin, Germany, he moved to the Max-Planck-Institute of Molecular Plant Physiology in Potsdam, Germany, where he pioneered metabolomic methods and integrated proteomic and computer-based approaches into a systems biology framework. In 2007 he took over a position as the head of a research lab in the German FORSYS systems biology initiative. In 2008 he was appointed as a professor and founded the Department of Molecular Systems Biology at the University of Vienna.